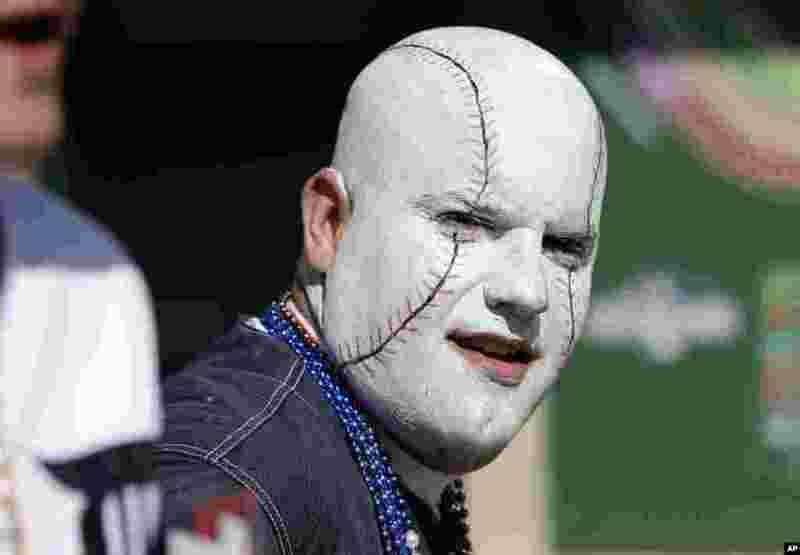 ৬ George Uhl of Sterling Heights, Michigan, is seen before a baseball game between the Detroit Tigers and the Kansas City Royals in Detroit, USA, Mar. 31, 2014. 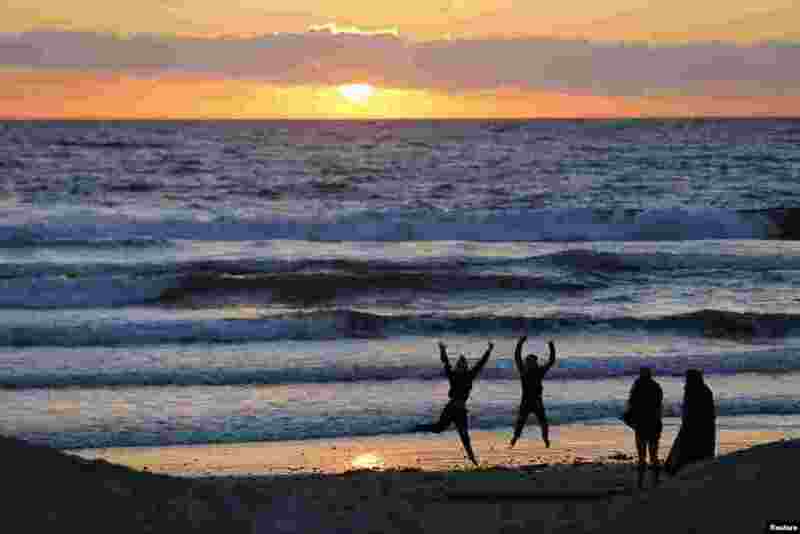 ৭ Teenagers pose while having their pictures taken with a phone as the sun sets in Encinitas, California, USA, Mar. 31, 2014. ৮ A Balinese girl, right, tries to avoid a kiss from another during the "Omed Omedan" kissing festival in Bali, Indonesia. Locals believe the festival ensures the good health of those taking part and prevents bad luck hitting the village. During the festival, village priests dump buckets of water over couples to douse their passions.